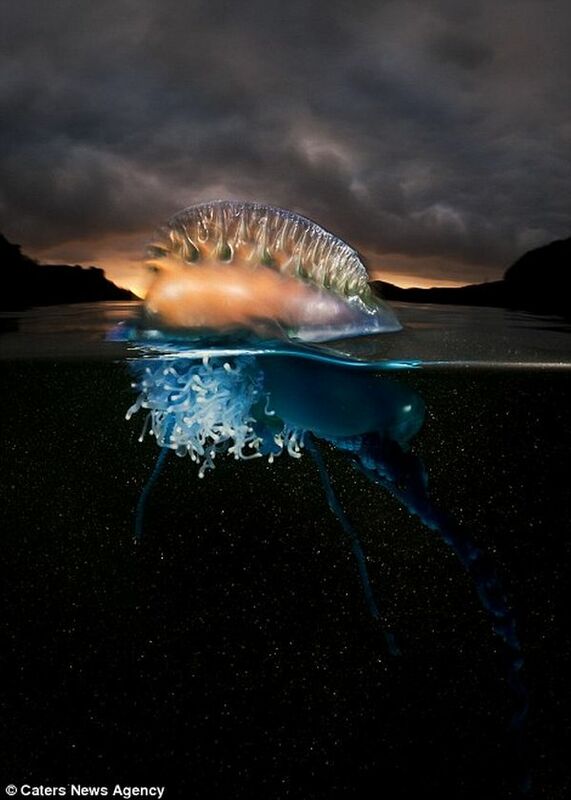 Portuguese man o’ war or bluebottle is a jellyfish-like creature that floats on ocean surface. 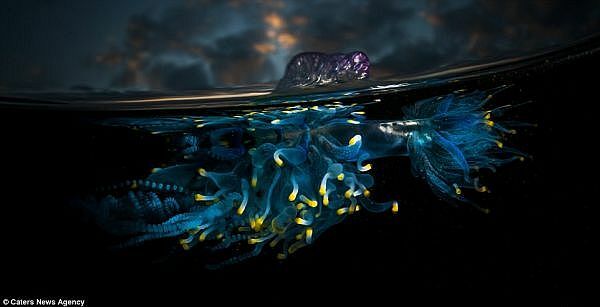 Being a siphonophore, it is not a single multicellular organism, rather a colony of specialized minute individuals called zooids that are connected to one another to an extent that each are inept of independent survival. 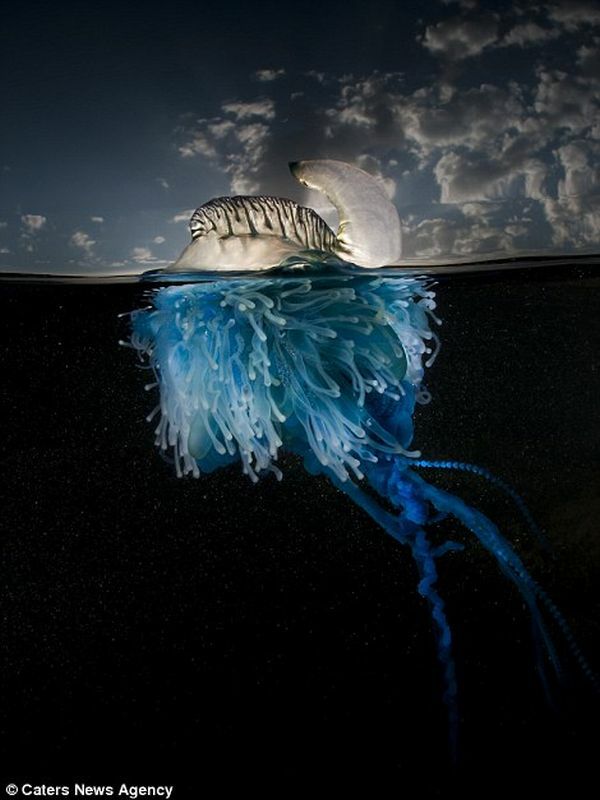 These creatures carry painful stings because of which they are highly feared by swimmers and divers. 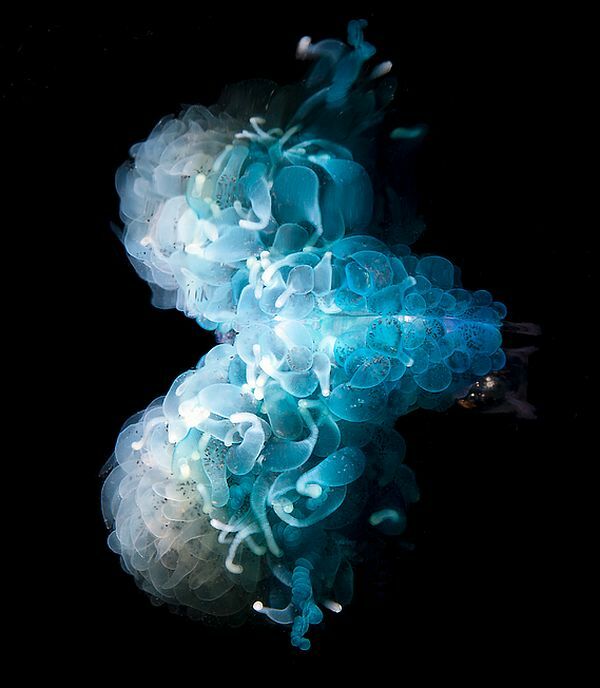 However, Matthew Smith, 38, dared to face the agonizing encounters under the waves only to capture these beautiful creations of nature. 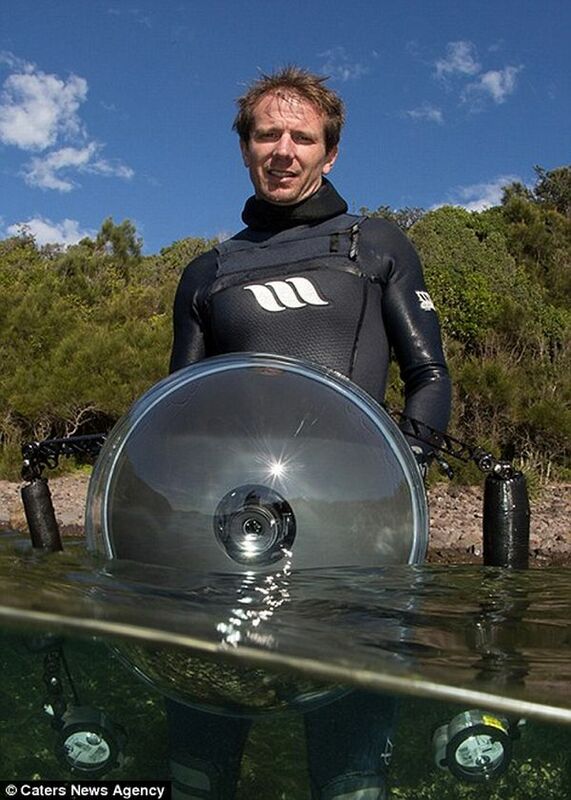 He developed a waterproof lens dome for clicking the objects beneath the waves. 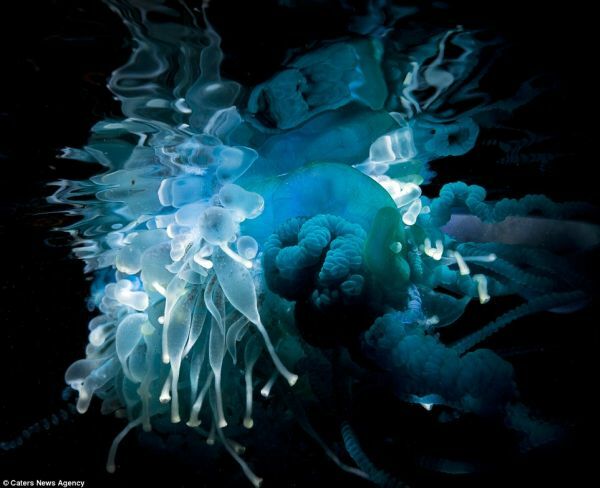 With the help of underwater flashgun, he was able to capture the glowing effect of the bluebottles. 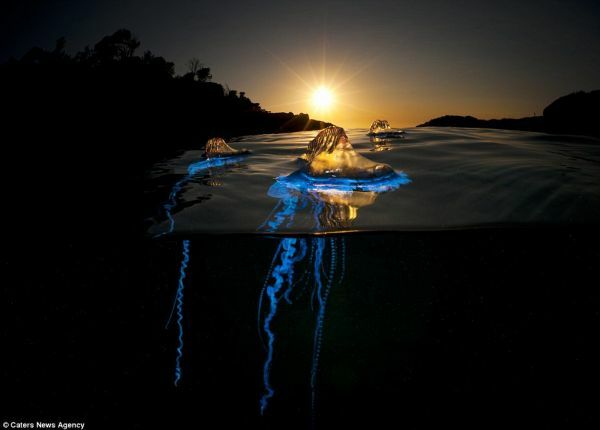 Nevertheless, the bluebottles illuminating effect is due to bioluminescence, a natural process that also results in lighting up the waves during neon-blue at night. Under-water life forms like plankton, jellyfish and anglerfish release a chemical called luciferin that undergoes reaction with oxygen and hence shed light. 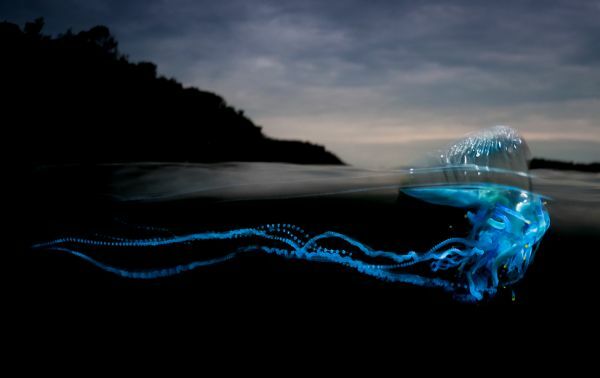 Some fish makes use of glow for luring prey while others like jellyfish and siphonophores use light as their self-defense by confusing predators. 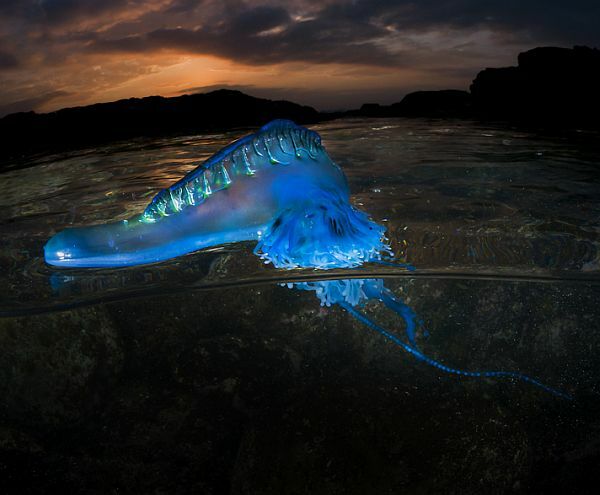 2) Portuguese man o’ war’s venomous tentacles, through which it can paralyzes its prey. 3) Bluebottles on subtropical waters. 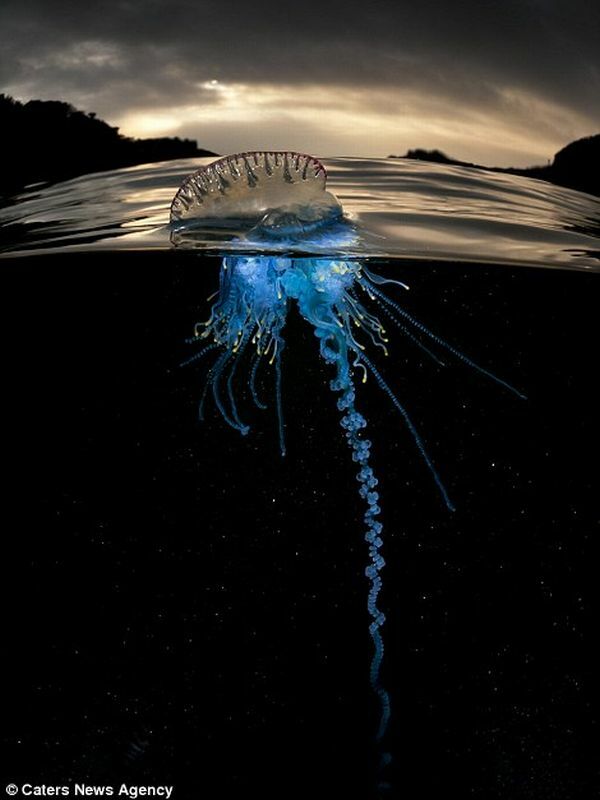 4) Bluebottles carried along by currents, winds and tides since they lack the means of propulsion.